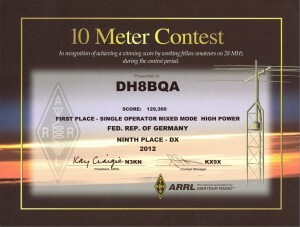 A nice surprise in the mailbox today – ARRL HQ mailed out the certificates for ARRL-10M 2012 which I had won in Germany in the Mixed Mode High Power category. Also 9th place World is not too bad either, I suppose. 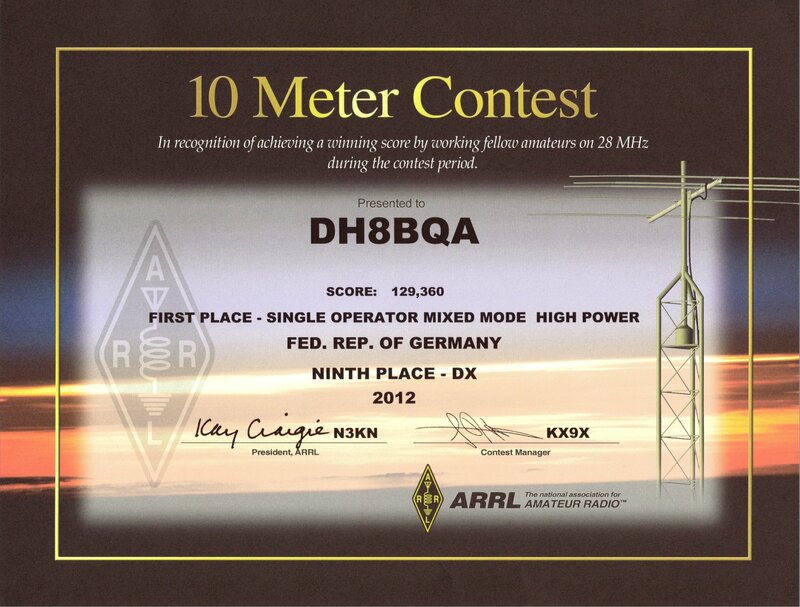 😉 I’m especially proud of that one as the contest was really tough, lot’s of hard work and persistence needed to do any QSOs at all as conditions really sucked. It sure did not feel like in the middle of a sun spot maximum. You can read my full contest report here.